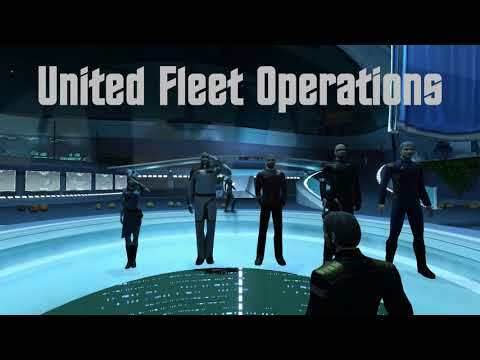 -UFO- Nemesis Corps is a fun, welcoming fleet open to all players in Star Trek online. Our members are active, friendly, and always helpful. We are part of the United Fleet Operations Armada. We don't have lots of stupid rules, and we don't have ridiculous requirements, but best of all – we are constantly growing and improving. No longer, do you have to toil away in a dead fleet just hoping for some sign of life. No more do you have to tolerate drama, discrimination, or elitist mumbo jumbo. Not one more day hoping to get access to that shiny fleet gear! Don't want to use Teamspeak? Good, because we don't have that! We do have Discord though, and we would love to have you join us there, but if you just don't want to – Well... We will just chat away to our heart's content in-game! Not interested in Roleplay? That's Fantastic! Our Armada Roleplay group is an entirely voluntary to join, and separate from regular armada communication channels, so you won't have to worry about being bothered by Dr. Wesley Crusher, Jr., Esq, III. Do you absolutely despise PvPer's and DPSer's? Then you haven't met ours! Our Deeps, and Peeps, are serious about getting the most from Their game, but won't interfere with Yours! You won't see constantly scrolling parse information (unless you want to), and if anyone ever says “git gud”... it's off to the brig they go! Does a large, social, and friendly community sound like whats missing from your game? Nemesis Corps might be the fleet for you! You get as little or as much as you want from fleet membership, and it wouldn't hurt you to try us out! If you choose to leave, we'll be sad to see you go, but won't hold a grudge, and if you want to come back, just give us a nudge! Does the idea of “applying” to join a fleet offend you? Me Too! You can contact me in-game by PM, or Mail [email protected] for an invite, or if you have further questions. Interesting, sent you a friend invite in game. Glad to have you. All are welcome, we have a little bit of everything for everyone here in the armada. Plenty of room! We have a low level KDF fleet as well, and our allied friends in the KDF are glad to help support honorable warriors in the KDF faction. We also have a gamma spot open for an established federation fleet. So if your members are feeling lonely, or unappreciated, let's have a chat and discuss this opportunity! I can be reached in-game at [email protected] or on discord!